The PT-580T is an HDBaseT twisted pair transmitter for 4K UHD HDMI signals. The unit inputs a 4K UHD HDMI signal that it converts to a twisted pair signal. 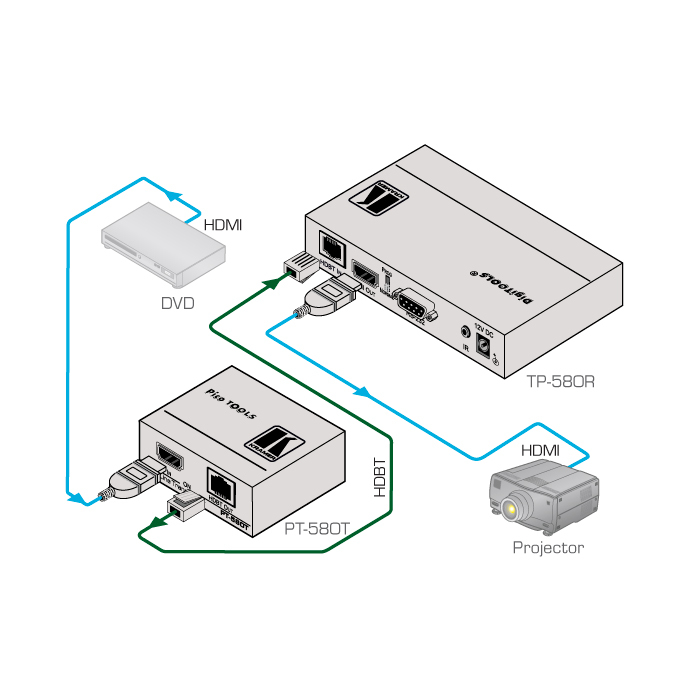 An HDBaseT receiver (for example the TP-580R or WP-580R) converts the twisted pair signal back into a 4K UHD HDMI signal and together they form a transmitter receiver pair. Resolution Support - Up to 4K@60Hz (4:2:0) UHD, 2Kx4K. EDID Pass-Through - Passes EDID signals from the source to the display.